Original, character Queenslander with a bonus to boot. 2 level home comprising of 3 bedrooms up and 3 down, separate lounge/dining and modern kitchen, covered rear balcony and enclosed full front verandah. Dressed in its' birthday suit but with good bones it waits for that special someone to doll it up. Ideal for the family looking for proximity to the City, Southbank, all the inner city amenities QPAC, and Convention Centre breathing the fragrant air of cosmopolitan West End AKA The Melting Pot of Brisbane. In catchment area of the best Public Schools and Elite Private Schools. Your Choice!!! 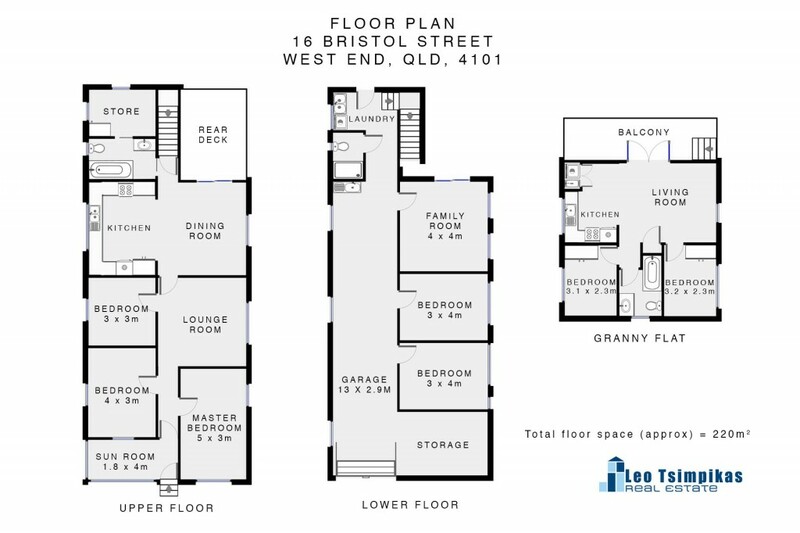 The bonus is a very well built 2 bedroom granny flat at the back which can serve as a perfectly comfortable independent living for the elderly parents or teenage children. For the investor, a double income without the add-on expenses. Perfectly positioned close to public transport, Ferry, riverside parklands and a short walk to the Restaurant hub where the atmosphere is filled with the different aromas of many cultural cuisines. Does it tick most boxes? We think it does but come and explore the opportunities for yourself.